A lot of my friends are at the age where they're getting their kids involved in gaming. Be it board games, miniatures games, or RPGs, they are sharing the love of our geeky world with their children. However, certain games can have some adult elements in them that might not be appropriate for kids. Thankfully, there are solutions out there for the discerning parent. One is the Hero Kids RPG and various books that use the Hero Kids license. 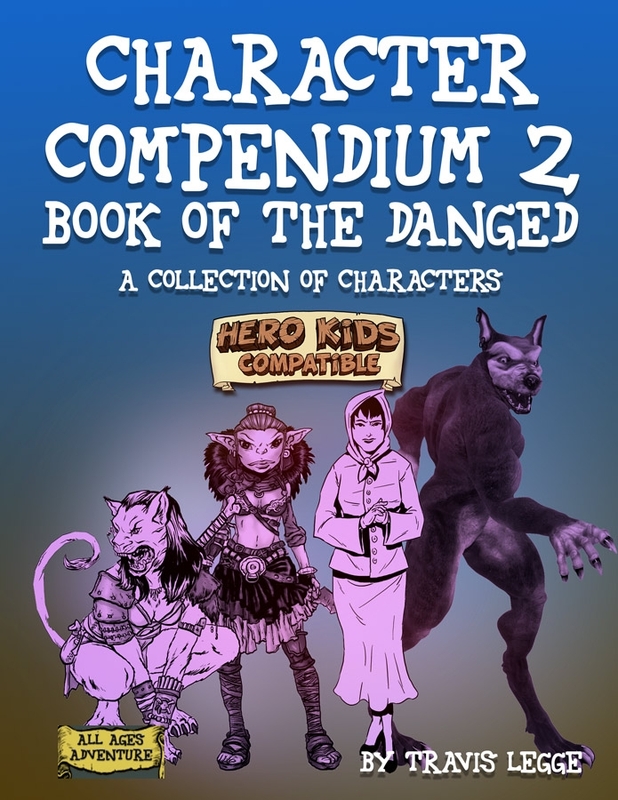 Aegis Studios has released just such a book, recently, the Character Compendium 2. As one could expect from the name, this book gives you more options for creating your characters. In particular, there are new races you can choose to use. They are the Catfolk, Dark Elf, Goblin, Vampire, and Werewolf. The book includes stock art versions of both male and female forms of the characters, to help players visualize their characters better. There's also extra space where players can draw in their characters, if they so choose.